Get wild in this animal print blazer by Manzini! 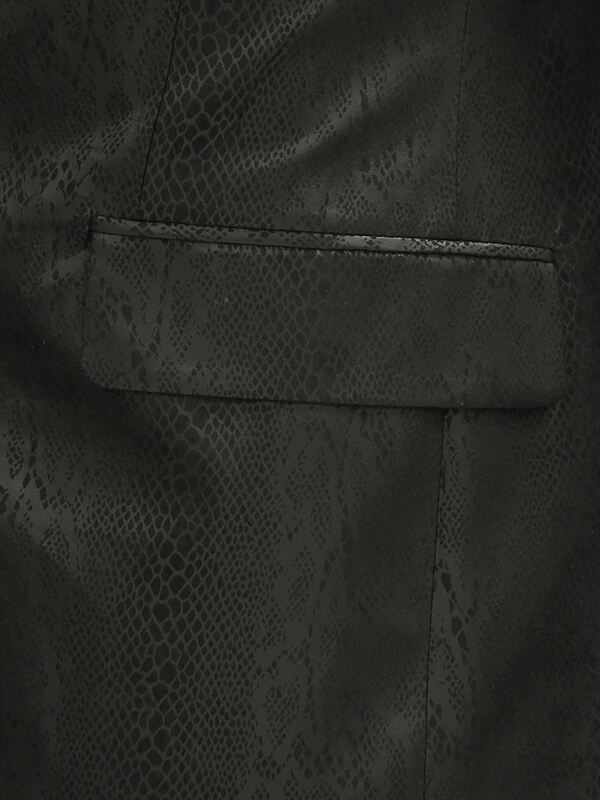 This jacket is composed of a snake skin pattern in black. 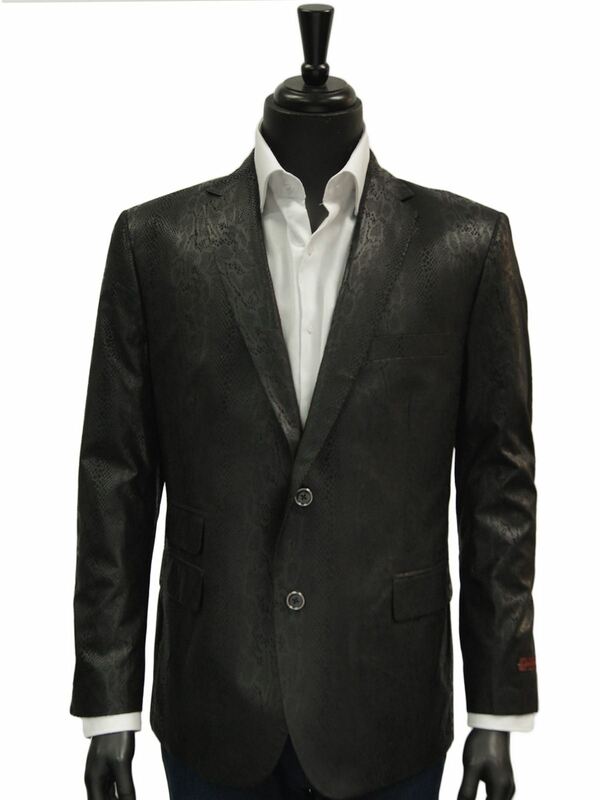 Silhouette features a two button closure and four buttons down the cuffs. This jacket has a lightweight feel that is perfect for the sunny seasons.